I’m a maker. Official Maker. 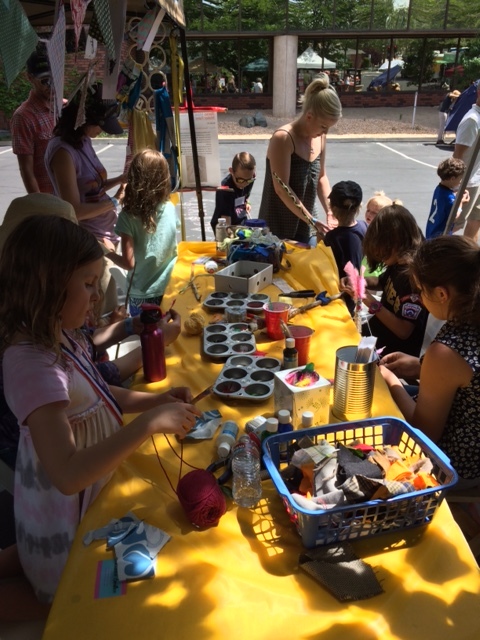 I was overjoyed to be a maker at this year’s Mini-Makers Faire in Reno. Nice new location next to the Discovery museum. I took my sticks on the road and the kids used glue, paint, feathers, keys and fabric to decorate sticks to create “talking sticks” and learn new listening skills. What is a talking stick? The talking stick is an instrument used by many tribes, especially those of indigenous peoples of the Northwest Coast of North America. The talking stick may be passed around a group as a symbol of their authority and right to speak in public. Come make one with us. Make it pretty, make it bold. Let people know that you are speaking and you should be heard. The only rule is that no owner of a stick should hold it all the time.